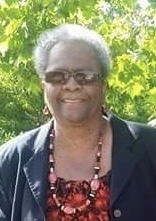 Mrs. Lottie M. Norman Thompson passed away April 7, 2019 at her residence in Sacramento. She was the daughter of Thomas “June” Norman and Ann Fuller Norman, both deceased. Survivors include her husband: William Thompson; seven children: Angela Enoch (Ronald), Adrianne Love, Andrea Lynch, Michael Thompson (Cassandra), Brian Thompson (Angela), Thaddeus Thompson (Vicky) and Marcus Thompson; 20 grandchildren; 2 great-grandchildren and six siblings: William Norman (Isolene), Terry Norman, Carolyn Warren, Mary Holt Wright, Sylvia Daye (Charlie) and Linda Torain. She was preceded in death by four siblings: Jimmy Norman, Larry Norman, Ronald Warren and Dorothy Walker. A memorial service will be held later in Sacramento, California.